Smart hub GreenIQ is adding IFTTT brains, which will put Apple Watch and Android Wear users in control of their gardens. The smart garden hub connects to your Wi-Fi network and uses sensors to activate anything from sprinklers to garden lights. But now it's integrating IFTTT features to give your smart garden a wearable edge. IFTTT is a web-based service that allows users to create recipes for specific devices, simply put - If This Then That. This, coupled with the GreenIQ smart garden hub will give people the ability to set up rules for their garden and control it from an Apple Watch app. Using your smartphone's GPS, you could have the sprinklers turn off and outdoor lighting turn on when you arrive home. You'll also be able to create personalised buttons for your Apple Watch or Android Wear smartwatch that'll perform specific tasks in your connected garden with just a tap of the screen. Odi Dahan, CEO of GreenIQ said: "We teamed up with IFTTT to launch a dedicated connected garden channel to close the gap between garden and home automation, while allowing our customers to be in greater control of their connected domains. "Our mission is to make gardens smarter and allow people to feel more connected to their gardens," he continued. While the obvious use for wrist-based sprinkler control being to soak your loved ones as they sunbathe, there are also practical uses. GreenIQ want you to think of its product as Nest for the garden, providing the right amount of water for your precious plants, whatever the weather. According to the company, GreenIQ has saved 4 million gallons of water since its beta launch last year, and can purportedly save 50% on your outdoor water bills. 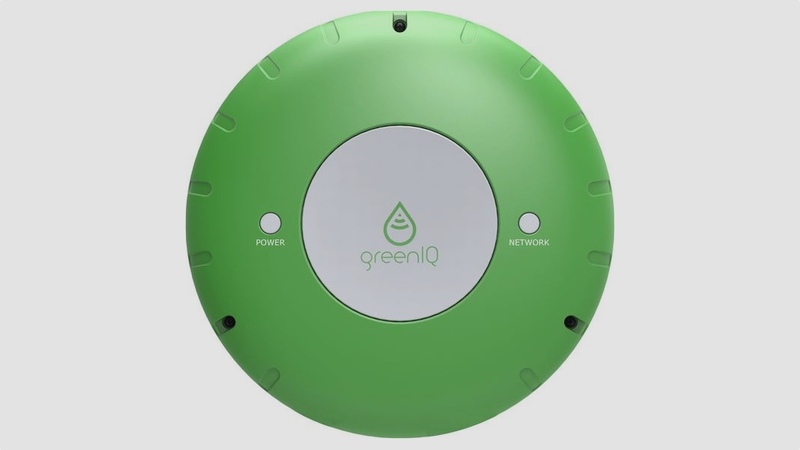 GreenIQ is available now and costs $249, and is available from The Home Depot.